You are currently browsing the The Pet Product Guru blog archives for February, 2019. Hiring A Dog Trainer? Check Their Credentials! 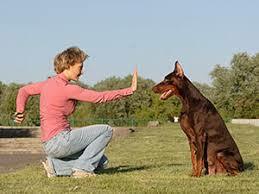 Many people will hire a dog trainer without checking any of their credentials. I read an article from Tennessean.com which I will pass on to you today. The article was written by John Bowman and it was written awhile ago but still holds true today. Most dog trainers talk one heck of a ballgame. In fact the way some trainers brag, you’d think they invented dogs. “People call themselves behaviorists and trainers, and it sounds very prestigious, but there really is no law that says they need to have a certain kind of education,” says Stephanie Shain, director of outreach for companion animals for the Humane Society of the United States. So if there’s no licensing or testing required, how can you tell a real pro from some guy who just got tired of selling insurance and decided to call himself a dog trainer? Kat Martin, owner of DOGS & KAT Dog Training & Behavior Counseling in Nashville, says the key is watching the trainer in action. Martin says it’s a red flag when a trainer is hesitant to let you sit in on a class. Shain advises owners to do an initial phone interview to find out a trainer’s background and training style. Owners may also want to ask for references. If the initial interview goes well, schedule a time to observe a class. Don’t forget that dogs are usually great judges of character. Shain believes if a dog is afraid of a trainer, then their owner probably should be, too. Shain said group basic obedience courses are a great way for dogs to learn basic socialization and manners. She also encourages owners to actively participate in their dogs’ training. Most 4-week basic obedience courses cost between $50 and $70. Prices for private training sessions vary, but they’re generally between $40 and $75 per hour. Just about all trainers belong to an association of some kind. Shain says the Association of Pet Dog Trainers is one of the more highly regarded groups, but she cautions that membership in a professional organization doesn’t guarantee a good trainer. Nashville’s Martin says owners should take the time to learn about which association a trainer belongs to before signing up their dogs. Like Martin, Shain believes there’s just no substitute for watching someone in action. Oldies all the time. The greatest oldies of all time! The 50s 60s 70s and 80s are playing right now on Edgewater Gold Radio! Turn us on and enjoy all of your favorites! Tell Alexa to “play Edgewater Gold Radio” listen from our website: Edgewater Gold Radio.com. add comment Comments Off on Hiring A Dog Trainer? Check Their Credentials! You wake up in the morning sneezing and sneezing, your cat is snuggled next to you in your bed. Of course you think that you may be allergic to him and you may be but it’s not his fur that’s making you sneeze. 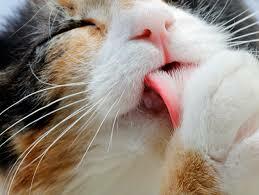 When cats clean themselves, they deposit their saliva all over their bodies. The saliva contains a protein that, when dry becomes airborne. This airborne protein is the allergen that makes people have an allergic reaction. So it’s the cat saliva, not the cat hair which that sneezing, watery eyes and itching not the cats hair. Turn on you oldies. We have them and lots of them. The 50s through the 80 live right here on Edgewater Gold Radio. Ask Alexa to “Play Edgewater Gold Radio or listen from our website: Edgewater Gold Radio.com. Fatty acids are specific polyunsaturated fats that keeps your dogs skin and fur shiny and healthy. The omega 6 fatty acids are especially important to an animals health because they help support the immune system and help regulate the blood flow. 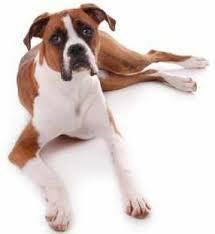 Fatty acids are not automatically produced by your dog’s body so you must provide them in your dog’s diet. They’re naturally found in animal fats and vegetable oils and most commercial dog foods are made to contain the proper types and ratios. Some dogs with skin problems and certain health conditions may benefit from fatty acid supplements. Ask your veterinarian for a recommendation. He may suggest adding sunflower oil to your pets food. The oldies are playing right now on Edgewater Gold Radio. We’ve been playing your favorite memories for 17 years now. So if you are looking for oldies variety just ask Alexa to “Play Edgewater Gold Radio or check out our website: Edgewater Gold Radio.com. Why Do Cats Always Land On Their Feet When They Fall? 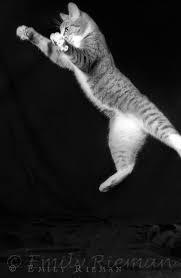 As a Cat falls, the righting reflex allows the cat to orient it’s body so that its paws are facing the ground. The reflex is activated even after the cat is blindfolded or falls in complete darkness. As a cat falls, it may also spread out it’s body to increase drag and slow the fall. Cats can often survive a fall of up to six stories in height. Humans, on the other hand can usually survive a fall from about two stories. On the other hand, dogs are not built the same and can injure themselves as humans do in falls from much shorter distances. I once had a small dog who leaped from a stairway going upstairs in my home. He leaped through the railing from about four steps up and landed on carpet. He still sprained his leg and was limping for a few days. Make it an oldies weekend. The oldies are playing all the time on Edgewater Gold Radio! It’s a 60s and 70s weekend. Ask Alexa to “play Edgewater Gold Radio.” Listen on itunes, Tunein,, Nobex, Live 365, Radio Garden, My radio tuner and many other places. You may also listen for our website: Edgewater Gold Radio.com. add comment Comments Off on Why Do Cats Always Land On Their Feet When They Fall? When you cross a Maltese with a Pomeranian, you get a Malte Pom. Sometimes these dogs are called Pomenese , these great little dogs grow to five up to nine pounds and are clever, amusing and affectionate. 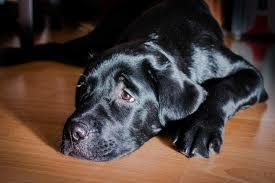 They need regular and rigorous exercise to minimize barking and boredom. The white coat of the Maltese mixes with the Pomeranian’s apricot, cream, black or brown to create varying shades and patches of color. The long, silky fur on the Malte Pom doesn’t shed but needs regular grooming or a short cut. 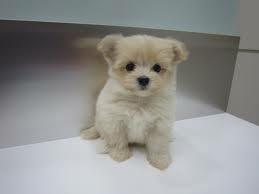 Malte Poms live between 12 and 15 years and some say that they are healthier than the breeds that they descended from. Malte Poms are recognized by the American Canine Hybrid Club but as with all designer dogs, not by the American Kennel Club. Remember, lots of exercise, dog toys,treats and love. Your pets count! The best music on the best station. Oldies from the 50s through the 80s play all the time on Edgewater Gold Radio! Ask Alexa to “play Edgewater Gold Radio” or listen from our website: Edgewater Gold Radio.com. Did you know that meows are directed almost exclusively at humans and rarely toward other cats? This may be an extension of the similar “mew” sound that kittens use to signal a request to their mothers. Cats communicate with other cats mainly by using body language and scent. Wild cats only produce a few sounds, while a domesticated cat produces a wide variety for the sole purpose of communicating with humans. The pitch of the meow can help you understand its meaning. The lower the sound, the more agitated the cat. 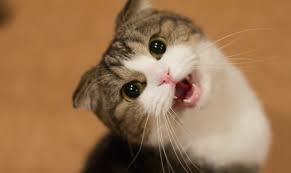 If the meow sound is high toned, the cat is probably quite happy to convey his or her message. So pay attention to your cat’s meow. Your oldies are always playing on Edgewater Gold Radio! It’s consistent oldies variety all the time from the 50s 60s 70s and 80s. Ask Alexa to “Play Edgewater Gold Radio.” Listen from our website: Edgewater Gold Radio.com. Each Saturday morning as I’m having my coffee, I turn on the program on CBS called Lucky Dog. Each week there is a touching story about dog trainer, Brian McMillan who rescues dogs just before they are about to be put down. He trains them and places them in their forever home with pet owners who have previously lost their beloved pet or are looking for a new companion. Brian figures out the needs of the potential new pet owner and finds the best match. This is not only a heartwarming show but also provides viewers with lots of training tips, health information and what to look for in adopting a new furry friend. I highly recommend this show for all dog lovers. Cats are very special creatures. A cat needs twice as much protein to keep it’s muscles strong and healthy just like a dog. 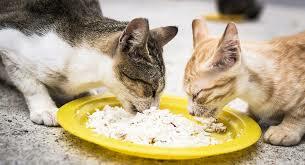 Cats also require about 20 different kinds of amino acids to make their own body proteins. Those amino acids come from protein and food. What’s the best source of protein for your cat? The truth is any and all of the protein sources are fine for your cat. Commercial pets foods generally contain at least 30% protein, often from a variety of sources to more than meet your cat’s needs. So if your cat’s are like mine, gormet eaters, you can give beef one day, chicken the next, and fish the next. Keep that protein comin! Enjoy the greatest oldies of all time on Edgewater Gold Radio! Oldies from the 50s 60s 70s and 80s.. Real oldies all the time! Tell Alexa to “Play Edgewater Gold Radio or listen from our website: www.edgewatergoldradio.com.